Trim the ends off 1 lb. 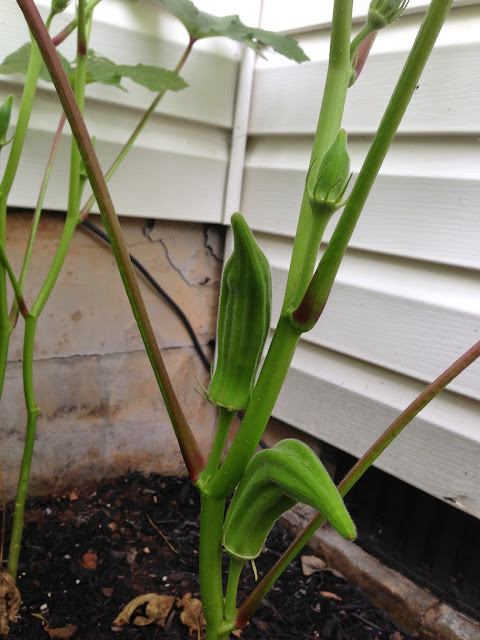 of okra pods and cut the pods into 1/2-inch slices. Rinse the slices thoroughly under cool water to eliminate some of the liquid from the okra. Place the okra in the baking dish and drizzle olive oil over the okra. Stir the okra slices to coat them with the oil. Add cumin, coriander, garlic powder, red pepper flakes and salt and stir to coat the sliced okra. Place the baking pan in the oven and bake the sliced okra for 15 to 20 minutes, or until the okra is crispy.